We’ve upgraded our schedule display screen while retaining all of the functionality our members and participants have come to love. The public has access to two tabs for leagues: Schedules and Standings. The Schedules tab includes the following functions for the public. 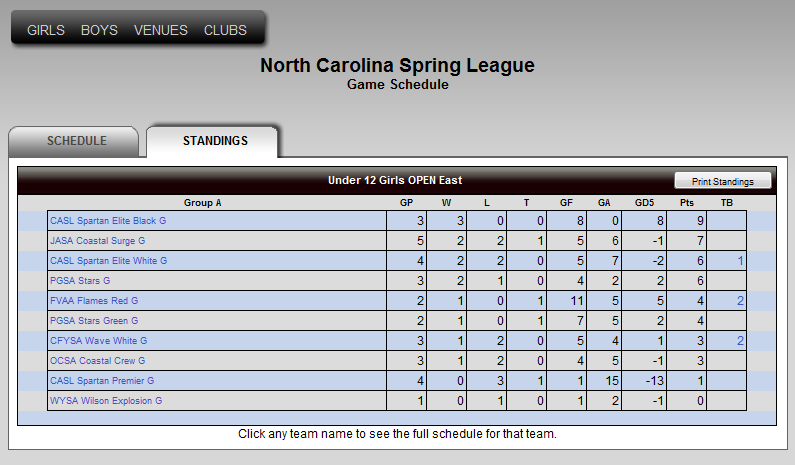 The Standings tab shows all teams in the division and ranks them according to their results and the scoring rules. ← Welcome to the sincSports Blog!